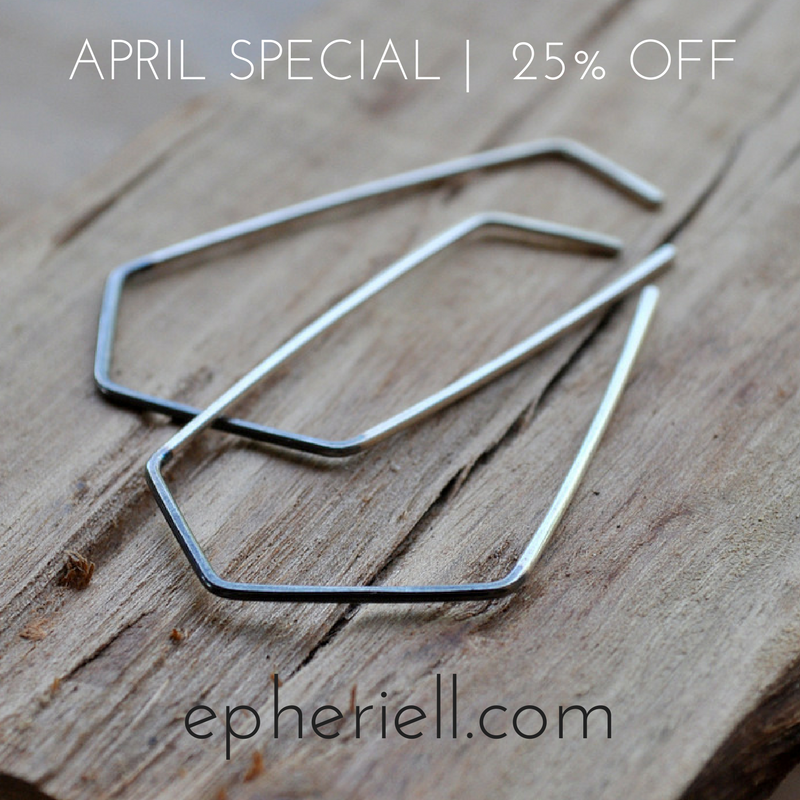 APRIL SPECIAL: Two-Tone Geo Earrings – 25% off! Hello world, and hello April! I just love April. Here at home autumn finally kicks in, the days (and nights) start cooling down, and there are usually endless blue skies. This month’s special is the Two-Tone Geo Earrings – a lovely modern design that are light and comfortable to wear, and will give a little snazz to any outfit. They’re normally $49 AUD – this month, they’re just $36.75 AUD. Nick and I hope you have a wonderful month!